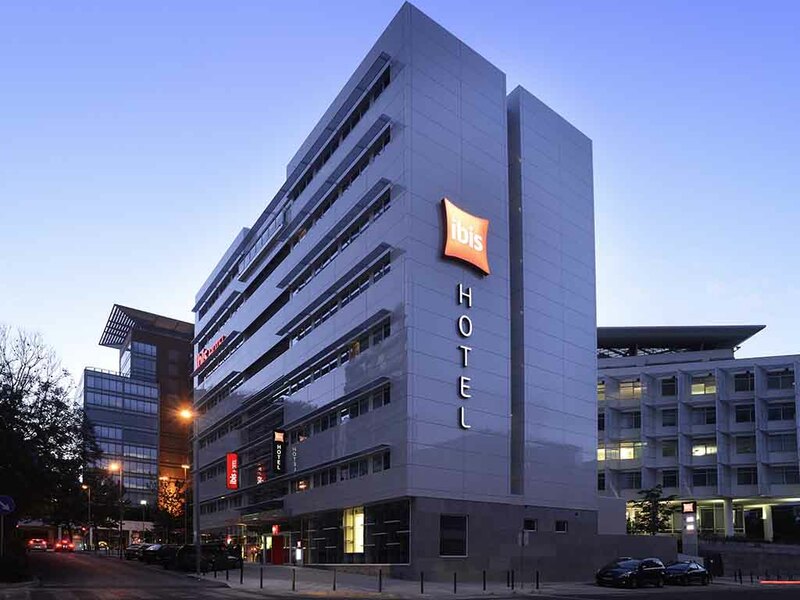 The team at the ibis Lisboa Parque das Nações hotel would like to welcome you and invite you to explore the famous sights near the hotel. Enjoy a cable car ride and visit the Lisbon Oceanarium, the casino and the MEO Arena. The hotel is located in Parque das Nações in Lisbon, with places of interest such as the Lisbon International Exhibition Center, Lisbon Casino, the oceanarium, the Atlantic Pavilion and the Vasco da Gama shopping center just a few minutes away on foot. This completely non-smoking hotel has 112 rooms, free WiFi, paying indoor car park, buffet breakfast and 24-hour bar and snack service. Discover our new Kitchen concept; simple, quick, tasty and healthy. A hot and cold drinks and light snack service is available to guests 24 hours a day. A bar service open 24 hours a day; the perfect place for meetings, socializing and relaxing. I feel welcome at the IBIS chain at this point. I have stayed at a few of your locations recently and it is a pleasant and warm experience. The staff is helpful and nice. Everything was fine and as booked! Lovely breakfast! Nice place to stay.bed are very comfortable. Ibis standard. The restaurant is modern and it is nice to have a drink there! Everything was fine except room was to hot for sleeping. Nice hotel, but service reception not good. I, a blond not Portuguese woman, asked for a place in the parking and they said it was full, but to the next client they said they would move a car in the garage so she could park her car. Looks like discrimination .. for foreigners they don't show the same effort as for Portuguese. I also asked to cancel my breakfast, but also that was not possible... I have stayed several times in this hotel, but looks like the last time now. The hotel itself is good. Most enjoyable, staff were friendly and welcoming! The room was clean when we arrived, but: TV Remote wasn't working - you had to switch channels directly on the TV Broken window opener - you couldn't close the window Broken air conditioner - the room was incredibly hot and you couldn't change the temperature (it was broken) Shower door wouldn't close It was an okay room, you could sleep in it and that was all we needed. But nothing more. I stayed at IBIS Parque das Nacoes for 4 nights. The room was very clean, quite and comfortable. I really enjoyed also the breakfast and fact that the metro station is at walking distance. A unique pity, in my opinion, is that the wifi (although being complitely free) seems to have some issues when trying to connect to it with laptop or mobile phones. Swift check in, clean decent little room. The room was quite warm, and the A/C didn't solve the situation, probably as it was not yet changed into summer mode. Limited breakfast, probably a bit too expensive for the products available. Apart from that it was a nice stay. Very good, everything was clean and tidy in the room and service at reception was excellent. Only complaint is that for the price we paid we expected a continental breakfast and the air-con/heating in the room was very warm and when we asked if we could make it cooler we were told the unit was centrally controlled so we couldn't do anything from our room's unit. Extremely satisfied how staff handled the reservation and check in. Breakfast was great as always, but I think there is room for improvement regarding variety. Breakfast staff are very nice and helpful. Nights are peaceful and quiet with a nice bed to rest after a hard work day. All we needed was a room for one night, accessible from the airport and Gare do Oriente. The room was clean and practical, reception staff had assigned us a room on the 6th floor in order to avoid noise because there were a lot of concert visitors staying on the lower floors - thank you for that!! Ibis mever disappoint me with its very clean room and confortanle bed. Checked-in was a breeze. Breakfast was adequate. Wifi was fast. Requested for a lste check- out as our train to Madrid leaves at 2134. Was given only till 1330. The hotel was very well located for our program. It is clean and comfortable. The breakfast was also good. The staff did their job but they could be more friendly. The hotel should care more for the environment, e.g. the towels were changed even though I left them hanging as advised. The hotel is ok - but thats it. Most of the personal are nice and helpful. Rooms ok - There are a ´lot of noise from the street. Breakfest could be better.